I have been hearing about The Pizza Peel for a while now. They opened back in May and the idea of reasonably priced well made pizza is always appealing. I knew that they were somewhere around McDonalds in Itaewon, but had never stumbled upon them until today. The restaurant is small and simple. No frills, no whistles, no bells, just a beautiful looking pizza oven and a Canadian chef waiting to take your order. 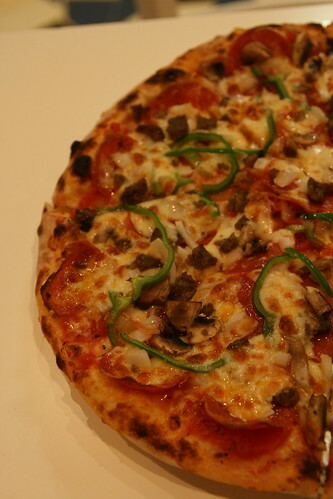 The menu is straightforward: a variety of pizzas with the option to choose your own toppings if you wish. I decided to go for the Supreme at 15,000 won. The small open kitchen allows you to watch chef David Laukner at work and the gas fired pizza oven cooks your meal very quickly. Exactly two minutes in the extreme heat and your dough based dish is ready to be served. The food, like the decor, is not fancy, but it does taste good. 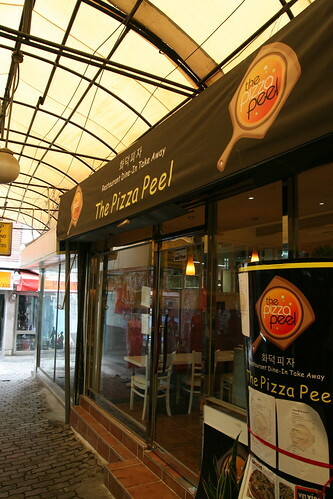 A crispy thin crust with plenty of flavourful toppings, this is good pizza and unlike most franchises in Korea you won't find rivers of grease left on your plate. 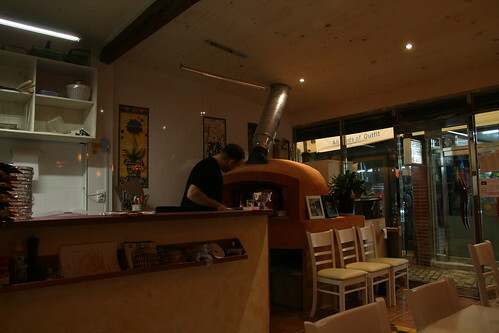 The Pizza Peel offers a great alternative to expensive Italian joints and greasy franchises like Pizza School. To get there head towards Noksapyeong from Itaewon station and turn left just past Rotiboy. 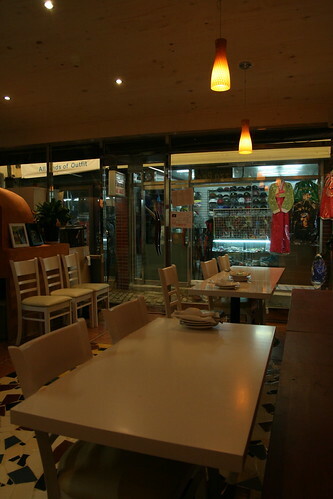 The restaurant is on the right hand side of the alley. You can visit their facebook page here or call them on 02 795 3283.